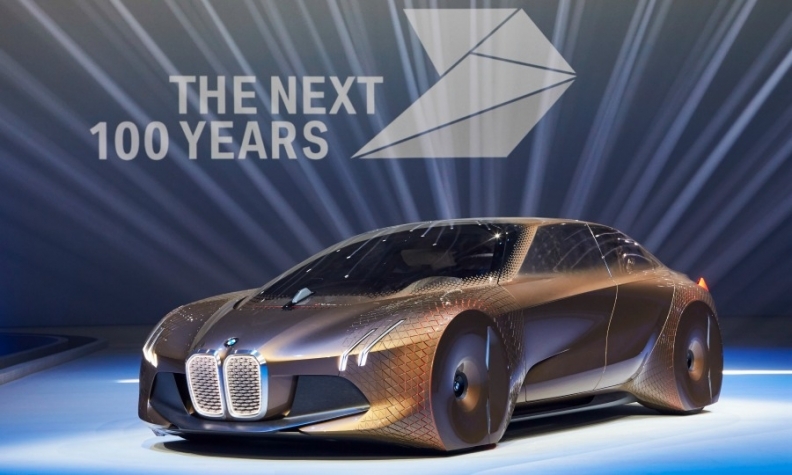 BMW presented its current self-driving technology in the Vision Next 100 concept, which was unveiled in March. NEW YORK/DETROIT -- BMW Group is working on a development partnership for self-driving technology with Israeli collision detection software maker Mobileye and U.S. chipmaker Intel, people familiar with the matter said today. Senior executives from each company, including BMW CEO Harald Krueger, will hold an event on Friday to discuss the driverless-vehicle initiative, said the people, who asked not to be named because the details are private. Mobileye has been an early leader in providing cameras, software and other components that allow vehicles to see the world around them and analysts estimate its systems command 70 percent of the market for collision-detection systems, a key enabler for autonomous driving. BMW and Tesla Motors are both customers of Mobileye. Recently, Volkswagen AG and General Motors both agreed to use Mobileye systems in their future car fleets. Automakers and technology suppliers are striking new alliances to commercialize computer-based, self-driving cars after being caught off guard by moves from Silicon Valley firms like Google and Apple to establish themselves as potential market leaders. As automakers and their suppliers race to create systems to replace human drivers, most companies are betting on some form of artificial intelligence, which requires powerful processing. Intel is the world's biggest chipmaker, thanks to its control of the computer-processor market. The company has moved its way onto the car dashboard by producing the components inside entertainment and information systems in vehicles. However, it still lags behind companies such as NXP Semiconductors and Infineon Technologies in providing chips to the auto industry. People are increasingly deciding which car to buy based on technology rather than horsepower. Automakers are turning to tech companies to keep up with the expectations of consumers, who are used to a seamless smartphone experience. The terms of the three-way deal are not yet known, nor is it clear how the pact between Intel and Mobileye might affect the Israeli firm's long-standing partnership with French-Italian chipmaker STMicroelectronics, which manufactures Mobileye sensor systems. A spokesman for STMicroelectronics declined to comment. In May, Mobileye and STMicro said they had agreed to extend a 12-year-old partnership to develop a fifth-generation Mobileye system, which they said will provide fully autonomous driving features for cars due to hit the road around 2020. These new systems will revolve around a computer chip, or central processing unit, that controls some 20 sensors throughout each vehicle, including the windshield and car bumpers, Mobileye and STMicro said.